Many people have never seen a coffee tricycle that serves coffee directly from the cart. The design alone will leave onlookers curious and will even attract coffee drinkers who may want to experience the product. Once this happens, you can share more information with these customers and make a connection. Additionally, with the wide variety of customization options, customers will remember the coffee tricycle and the brand that uses it! Sometimes coffee businesses, both new and old, struggle to reach new customers. They often look for new ideas and ways to expand the reach of their business. There are many ideas that work, but wIth a coffee tricycle, it is possible to reach new people more easily. Since the tricycle is a reasonable size, it can easily fit in places other vehicles can’t. 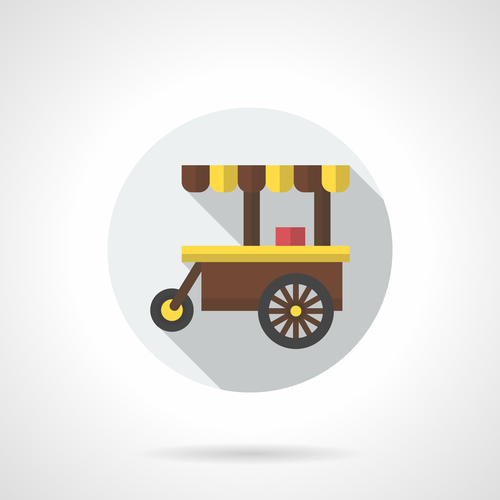 What is even better is the tricycle can go to festivals, parades, on sidewalks and other busy places people frequent and expose them to the brand. Having a coffee tricycle is easy on the pockets for new business owners who are just starting out. Investing in a coffee tricycle doesn’t cost a lot as an initial investment and is an affordable way to start and even run a business, as well as become supported and well-known. For an established coffee business, the cost to add this as an additional stream of income is reasonable and offers a great return on investment with more sales and new customers. It can even potentially be used to do coffee deliveries for loyal customers. If you’re looking for a great way to enhance or start your coffee business, contact us to learn more about the coffee tricycles we offer.